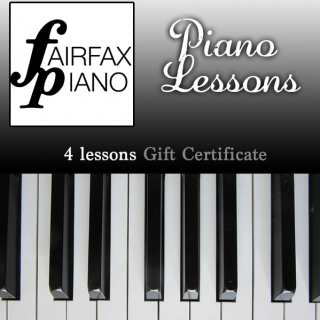 Taking lessons at Fairfax Piano means that you’ll get private, personalized piano/keyboard instruction, with an attentive ear and an observing eye, to help you develop the skills you’ll need to play well. Lessons can be day or evening, in your home or our studio, and flexible to fit your schedule. 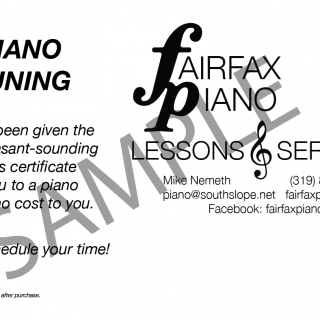 Fairfax Piano also offers piano tuning. Your piano will be carefully tuned to bring out the full character of your instrument. 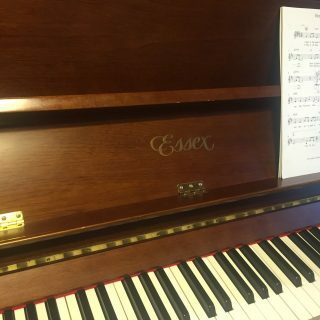 If your piano is needing some extra attention, we can do adjustments or light service on your instrument to keep it in top playing condition. Mike teaches at Fairfax Piano, has accompanied church music for many congregations, and currently plays with the Sunday music team at Cedar Valley Bible Church. Mike has been playing piano for over 40 years, starting by studying under Dr. Ejnar Krantz in Indiana. He has been tuning and servicing pianos – his own and others – for over 30 years. 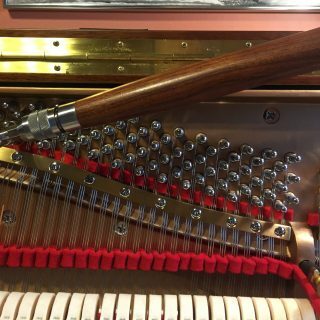 Fairfax Piano serves Fairfax, Amana, Atkins, Blairstown, Cedar Rapids, Conroy, Covington, Ely, Hiawatha, Marengo, Marion, Newhall, Norway, Oxford, Palo, Robins, Shueyville, Swisher, Van Horne, Walford, and Watkins. 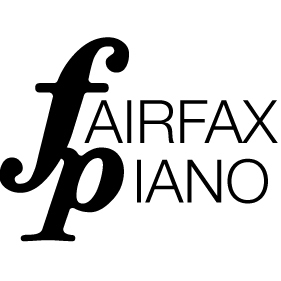 Read our FAQs about working with Fairfax Piano.